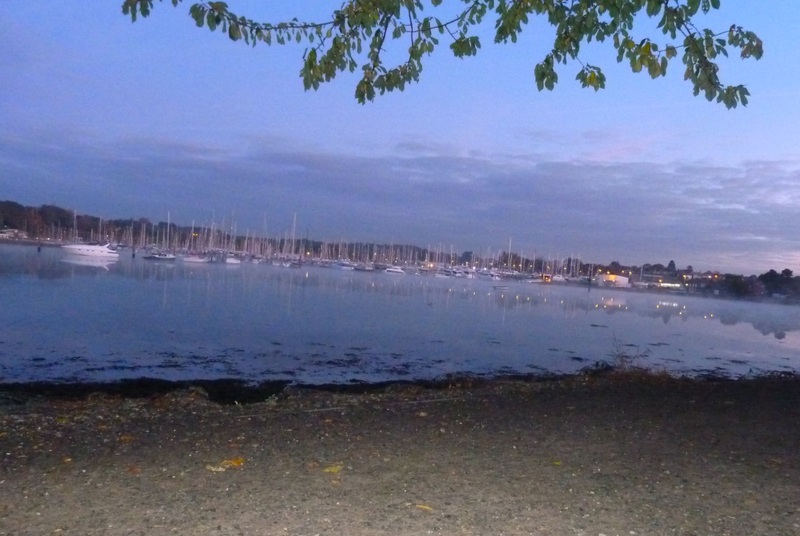 We keep telling ourselves that our Indian Summer can't last, the previous day had been clear with a glorious sunset and clear bright night sky. 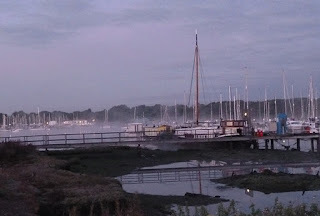 Next morning brought the first frost, sparkling white, mist rising from the still surface of the river. Golden leaves crunched under foot, disturbing the still morning. 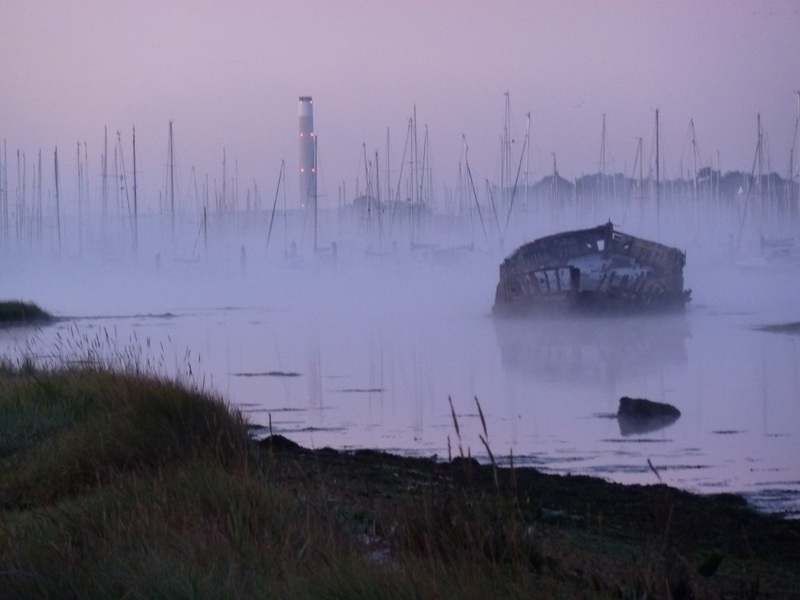 A lonely ship wreck emerged, oyster catchers took flight. And gradually the warming sun rose above the trees giving everything a pink glow. 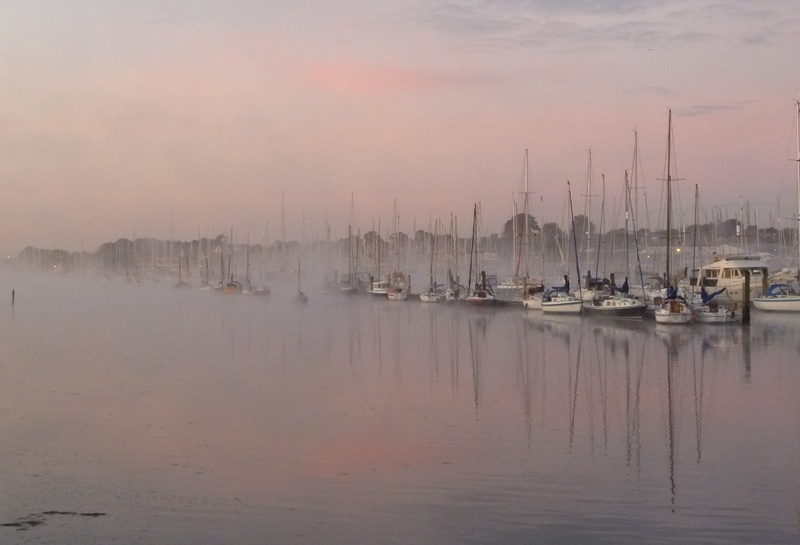 We English like to talk about the weather, in fact a lot of the time we like to complain about the weather and rightly so as those prevailing south westerly winds bring rain, wind and overcast skies more often than not. 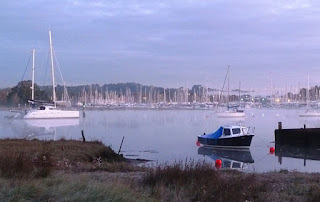 That all said, since September we’ve been enjoying an Indian Summer with many fine settled and even windless days. 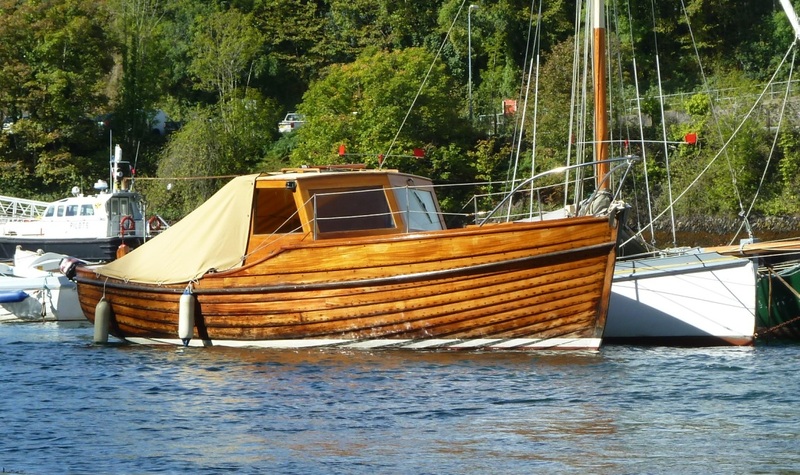 All of which sounds ideal, but for owners of varnished wooden boats it’s something of a dilemma. 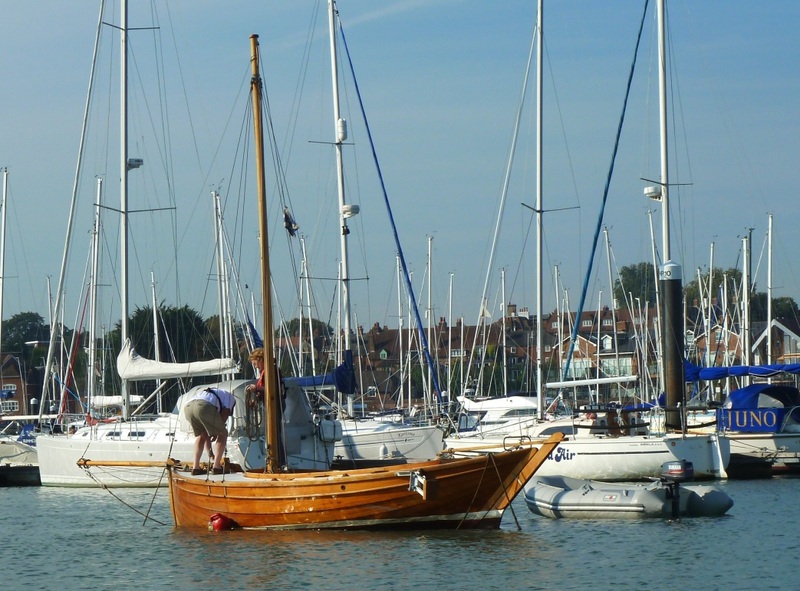 Do you make the most of these fine days before the inevitable onset of winter to take the boat out or do you take the opportunity of the settled weather to get a couple of coats of varnish on before it’s too cold and wet? 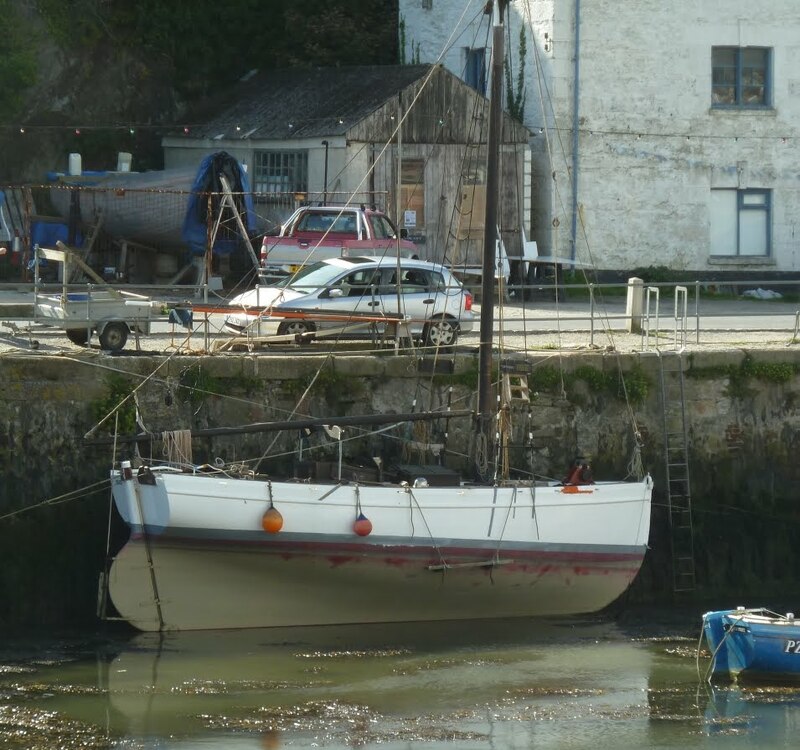 Those who can afford to have the yard put the boat in the heated shed for a couple of weeks, can ignore this post, they will be out sailing if they have any sense, but alas they may just be too busy earning the money to pay the yard…..
My own take on this is, if it’s varnished then it needs to fit in the garage over winter, that way I get to go sailing during our precious summer months. As an interesting diversion I looked up the origin of Indian Summer which is a North American term, in England and indeed Europe, France especially the phenomenon was know as Saint Martin’s Summer. Down at Mylor near Falmouth a few weeks ago, the working boats were pulled up on the foreshore waiting for the start of the oyster season which starts in mid October. 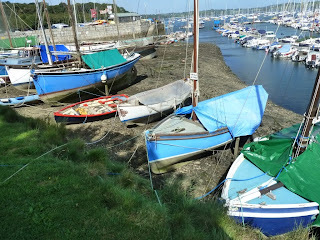 Although there is active racing during the summer these craft are still active working boats which dredge for oysters under sail in this unique fishery which prohibits the use of engines. 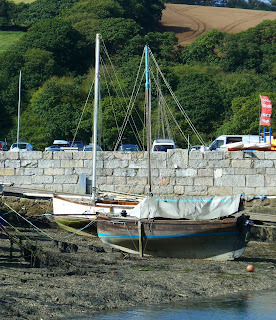 These are probably the last hard working fishing craft working under sail in the UK. 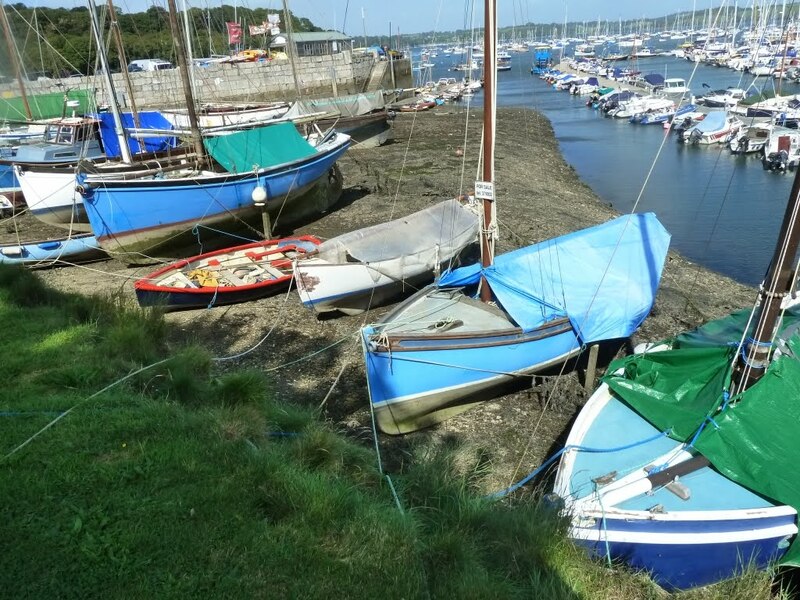 The Falmouth Oyster Festival takes place this weekend, celebrates Cornish seafood and especially the local oysters which are dredged under sail and hand drawn punt in Carrick Roads. 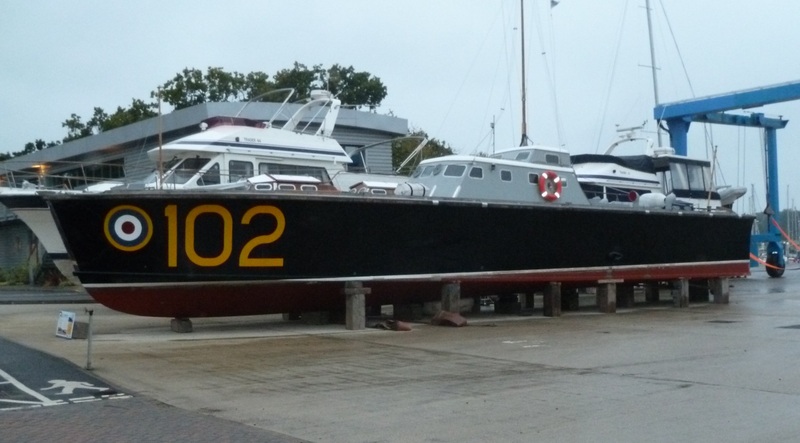 Built in 1936 by the British Power Boat Company across Southampton Water at Hythe, High Speed Launch HSL 102 is out on the hard for some maintenance. 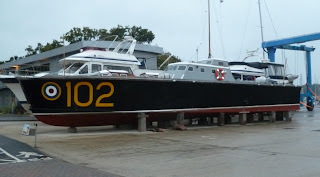 One one of only twenty two examples of the 100 Class High Speed Launch, 64 feet in length, 19 tons with a maximum speed of 42 knots. 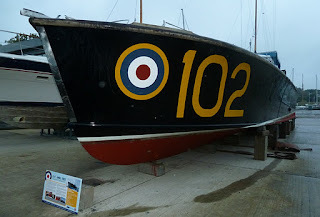 No 102 saw service during World War II operating on the north east coast of England. During a 2 month period in 1941 she rescued 38 airmen from the cold waters of the North Sea including two German bomber crews. As a result of those successful missions in July of the same year she was inspected by King George VI and the Princess Elizabeth, now Queen Elizabeth II. No 102 was bought by an enthusiastic owner in the early 1990's and underwent an extensive restoration, today she is operated by Portsmouth Naval Base Property Trust and receives funding from the National Heritage Memorial Fund. 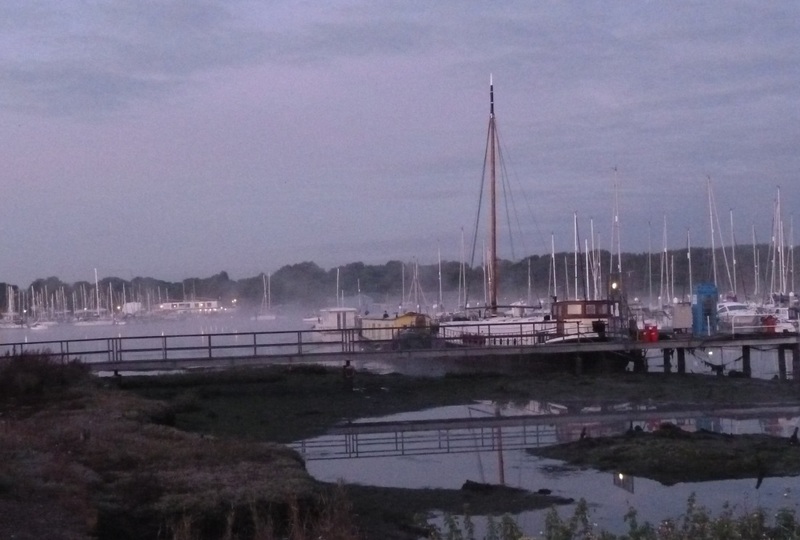 She is available for charter. Rowing down river for breakfast we spotted an interesting wooden boat among the moorings, so on our way back we took a detour to take a closer look. 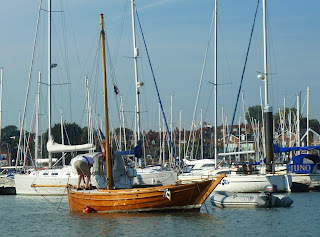 Our timing was idea as the owners were aboard taking advantage of the fine weather and making ready for a sail. 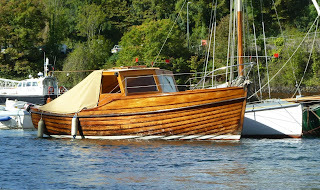 Gratitude is a Sacffie, built in 1997 by Ardslgnish Boats to the lines of the original 1896 Portknockie Gratitude. 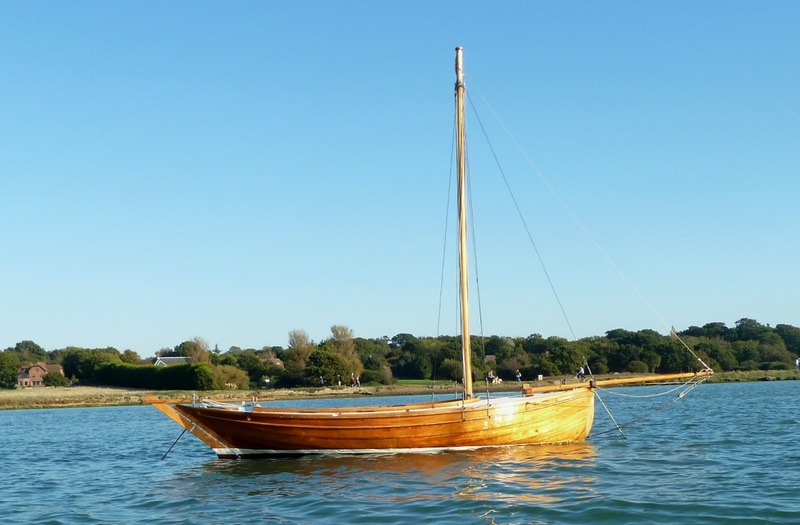 Construction is larch on oak with silver fir hollow mast, solid yard, Douglas fir bowsprit, heavy-built. 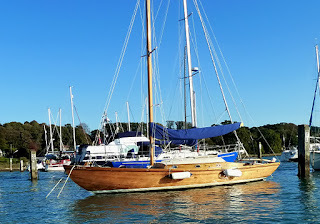 Copper nailed and roved, bronze fastenings at the stem, galvanised keel-bolts. Rig is a standing lug with Duradon sails (James Lawrence), total area 265 sq. ft. 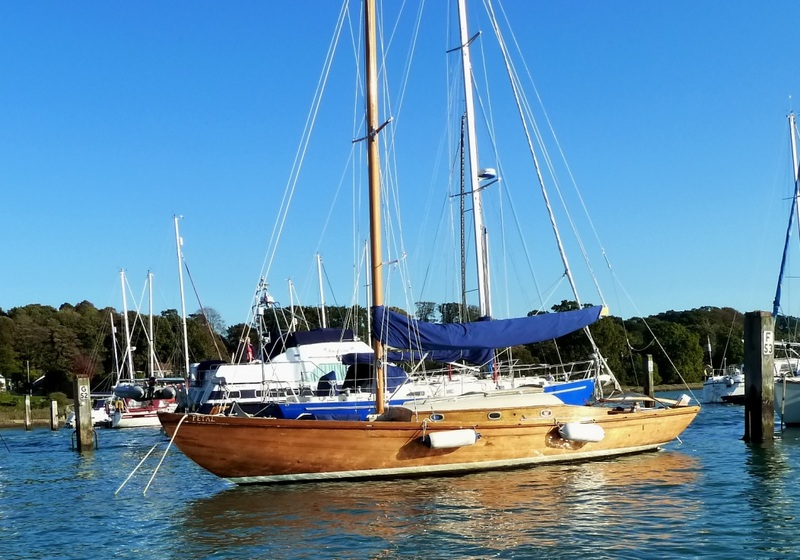 Gratitude is new to the river having been launched just a couple of days before, her new owners Kevin and Maureen, have sailed larger boats for many years but have bought Gratitude to enjoy the simplicity and uncomplicated day sailing of the creeks and harbours of the Solent. 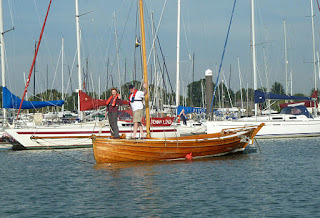 They have certainly chosen a delightful boat she looks fast and purposeful with that sweeping sheer and long bowsprit. 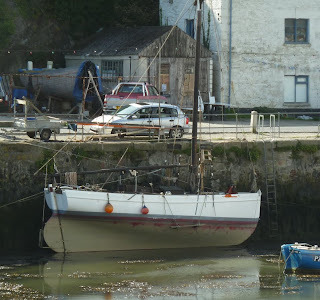 I'm looking forward to seeing her out sailing. Kevin also has a a real connection with wooden boats, carving and creating art from recycled wood including some delightful wooden yachts - see his web site for details. 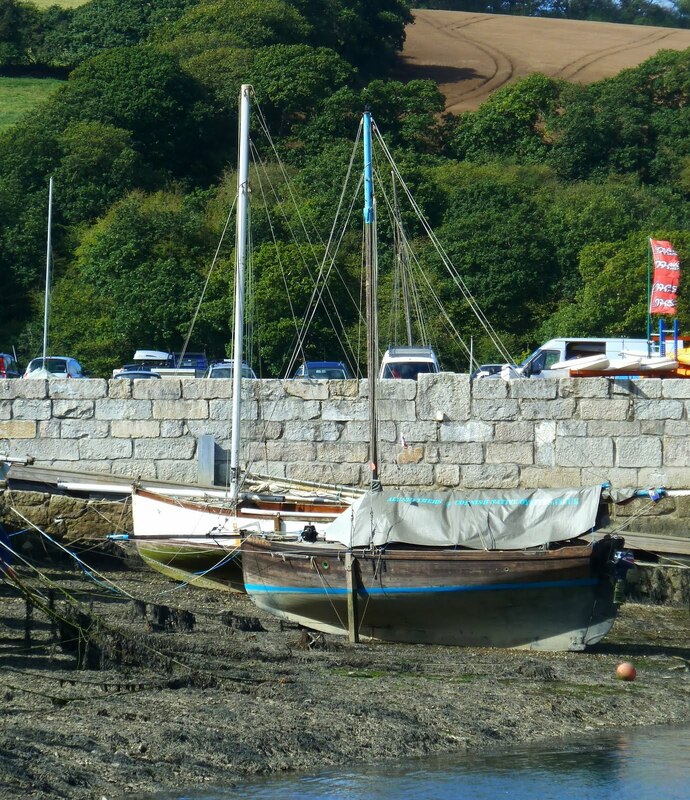 Spotted this working boat dried out alongside the harbour wall at the harbour at Porthleven, she looks like a quay punt one of the Falmouth working boats which evolved to service the sailing ships visiting the deep water harbour during the 19th and early 20th centuries. 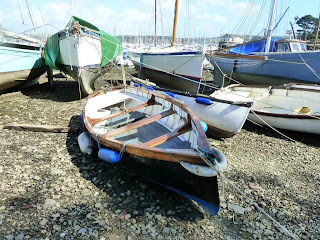 Below perhaps the most famous Quay Punt Curlew, Tim and Pauline Carr sailed this 28 foot boat around the world without an engine, visiting both the Arctic and the Antarctic. 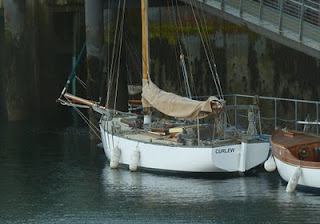 Curlew is now on exhibition at the National Maritime Museum in her home port Falmouth. 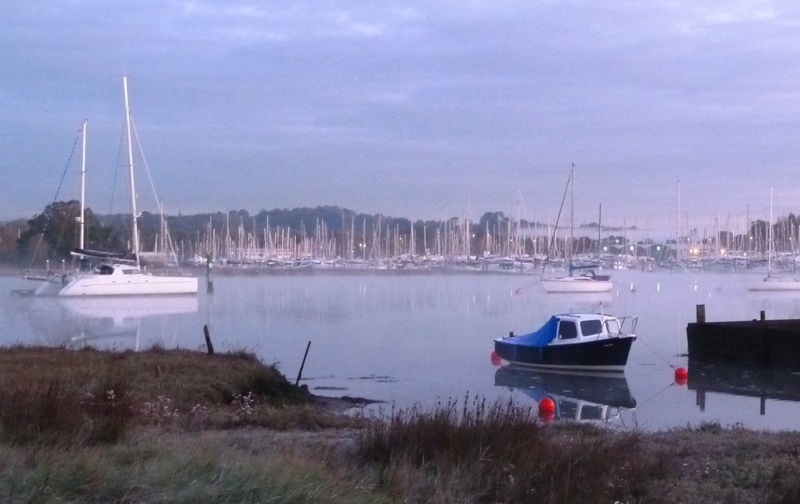 The Indian summer we've been enjoying lasted until the weekend so we got up for an early morning row down to our favourite cafe in Hamble. 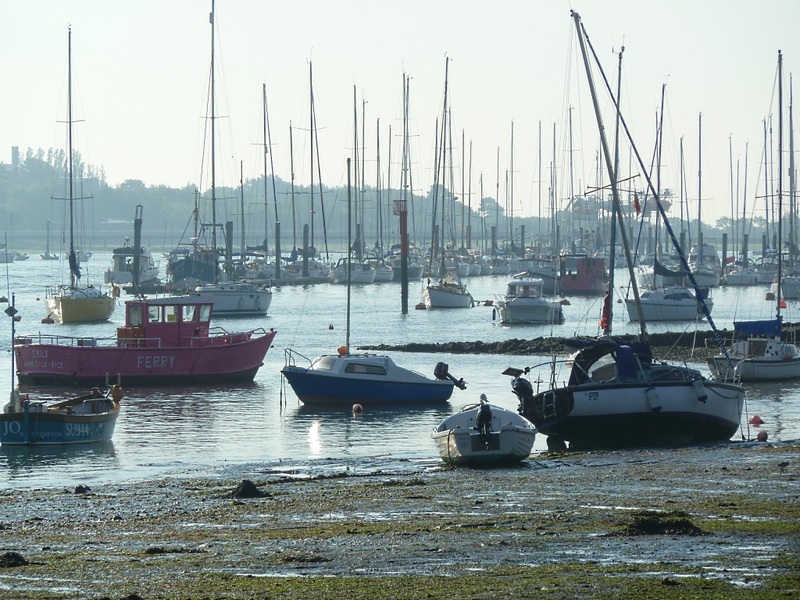 Although just past the recent extremes it was still a big spring tide and even an hour or so after low water a few boats were high and dry and waiting for the flood. The great thing about seeing the river at this state of tide is that it reveals the all contours, shallows, the shoals that can't normally be seen but are never the less an ever changing topography. 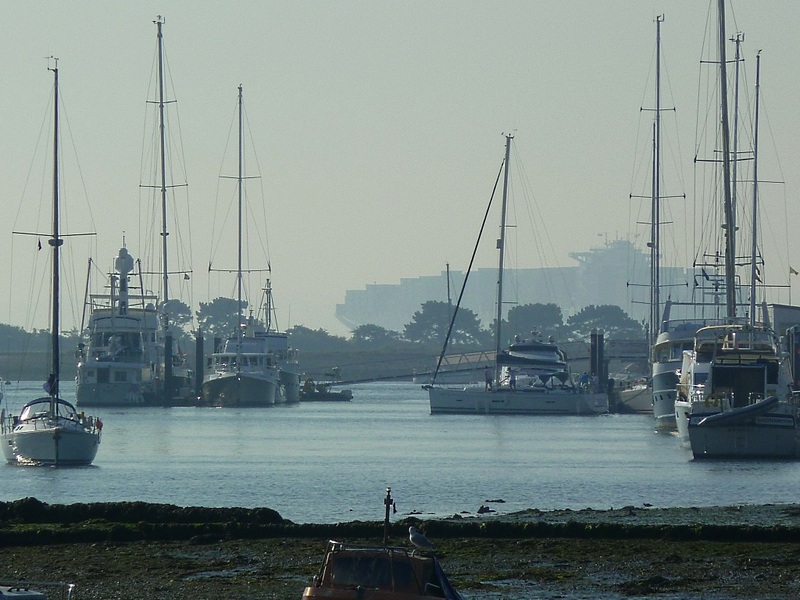 While we were having breakfast in the distance we could hear a ship signalling out on Southampton water, the sound signals drifting on the still morning air. 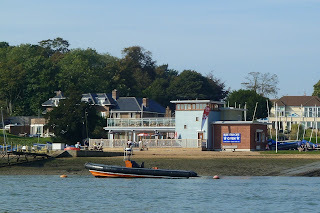 The ship was revealed as a huge container ship passing the Hamble River entrance on it's approach to the tight turn at Calshott.